For COVERIT it is never sufficient to just install a waterproofing layer that makes a job functional, it must also be a solution which is integrated with the most advanced services through the close monitoring of the structures previous to the waterproofing. With Coverit our customers can rely on the expertise of highly qualified personnel who are periodically subjected to refresher courses at the premises of our partners with whom we have a common goal: Quality of the solution chosen. 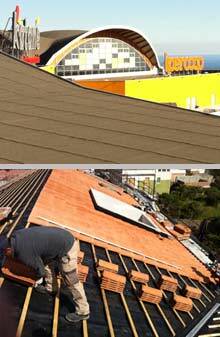 Coverit can intervene at any time and any place where it is necessary to create a waterproofing. solutions oriented towards the functionality of the job. Of course we cannot forget the most, important part of our work, namely:Consultancy, assistance and maintenance. "Fundamental components because we know that a satisfied customer will continue to work with us". COVERIT is able to provide advice, expertise, suggestions and updates to meet the needs of their customers and the market. Our experience in waterproofing allows us to create, in first person, the techniques and methodologies we use, focusing on the needs of our customers, who we involve as part of the project team for the applications intended for them. COVERIT is a REALITY 'that works mainly on the development and research regarding the installation of advanced systems in WATERPROOFING and FLOORING. Epoxy, Polyurethane, Vinyl and Polyester. COVERIT is a young company but with a large amount of experience. This may seem to be a contradiction but it is a very important reality. COVERIT Roofing and Flooring Systems was founded by a group of people that have worked for many years in some of the most important companies in the field of waterproofing and flooring. At a certain point they decided to take a new path, aware that they could create a dynamic and interesting reality. Our slogan is,” WE LOOK FORWARD STRONG OF OUR PAST”, which for us means a lot, it’s a concept, a philosophy. The market has an increasingly significant influence our daily activities. Being present is necessary but not sufficient. It is important to be present in the best way in order to offer the market all the professionalism of our company. 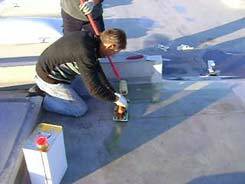 To do this it is important to know in detail both the oldest and the newest techniques and technologies that form the basis of waterproofing.